AC 101: Why is My Air Conditioning Unit Leaking? A leaking Air Conditioning Unit poses several concerns and is a major sign that something is wrong with your system. Leaking AC units can cause water damage and even a fire if it gets near electrical equipment. So why do leaks happen in an Air Conditioning Unit anyway? If the evaporator coils form ice on them, this build-up can melt and overflow from your drain pan. 1. Dirty filter: If your filter becomes dirty, it will slow the airflow through the coil, causin g it to get too cold and possibly form ice on the surface. An easy way to avoid this outcome is to replace your filter as recommended by the manufacturer. 2. Low pressure in the refrigerant lines: If there is not enough refrigerant in your unit, the pressure will lower. This will reduce the coil’s ability to remove heat from the air, which causes the coil to freeze. Low refrigerant levels can cause some serious damage to your compressor so you will need to turn off your Air Conditioning Unit and call us immediately! 3. 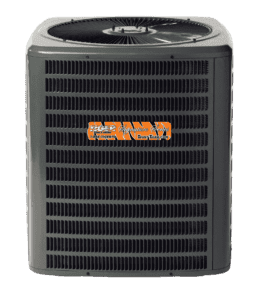 Issues with the fan: If you notice low airflow coming through your vents in addition to the frozen coil, issues with your fan are likely the cause. Shut off your Air Conditioning Unit right away and call us to correct the problem. 1. A blockage in the condensate drain: a blockage will cause a backup. Clear the drain if you can or call us to clean the line for you. 2. A damaged drain pan: your drain pan might be cracked and leaking condensation. It is often best to replace a damaged drain pan, to avoid future issues. 3. A broken condensation pump: depending on where your Air Conditioning Unit is located, you might have a pump that removes the condensation. If this pump becomes broken, water can build up and overflow. Which means you will need to replace the pump. Air Conditioning Unit is Leaking! The summer’s heat and humidity have arrived and with them comes the need to cool your home around the clock. This constant cooling of your home will undoubtedly cause an increase in your monthly utility bills. Cooling your home really is not optional when the temperatures start hitting the 90’s, but you do have some methods you can use to help keep the cooling bill lower. Ceiling fans help your air conditioning system by taking on some of the work. By circulating the cool air in your home, your AC will not have to work as hard to keep you cool and comfortable. Windows that are poorly sealed and leaking air are inefficient and they are costing you more money when you are running your AC. Utilizing weather strips and caulk to seal up any leaks will help save you money on your cooling bill. The air filter in your furnace will naturally become dirty over time. Dust, pet hair and debris are just some of the elements that can cling to your filter, slowing the air flow. Thus, a dirty filter will cause your air conditioner to work harder, to move cool air throughout your home. It is best to change your filter as recommended by the manufacturer. This is probably the easiest cooling cost-cutting task you can perform. When sunlight pours into your home, it warms it. So, by simply closing your curtains, especially those where the sun beams in the brightest, will help keep your home cooler. Programmable thermostats are extremely useful little gadgets. They allow you to reduce the amount of energy needed to cool your home and make sure your home is st ill comfortable when you get home. You program these thermostats to adjust the temperature to a comfortable level when you are home and set it to run less often when you are not there. No more wasting extra money cooling your home, when no one is there. You can see real savings on your monthly energy bill by simply adjusting your thermostat seven to ten degrees, eight hours a day when no one is home. Having your air conditioning unit serviced once a year is one of the best ways to ensure that your equipment is running as efficiently as possible, which will save you more money on your cooling bill. 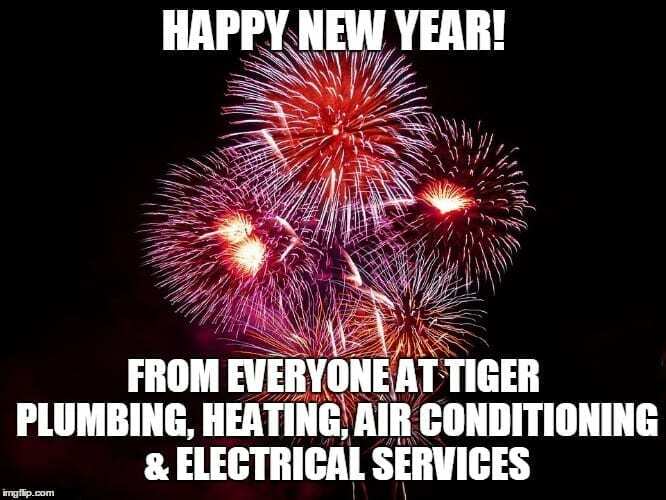 Call on the experts at Team Tiger to perform your annual AC Super Tune-Up and Safety Inspection today at (866) 844-3770 and be ready for whatever summer throws your way. Air Conditioner from the elements. Whenever possible turn off your air conditioner before a storm hits. Strong storms typically mean lightning. Electrical surges are common when lightning hits and you don’t want your AC’s electrical components destroyed, or risk a fire! If the weather is particularly hot, you can usually run your AC until the sky darkens. Keep in mind, however; lightning might be flashing before the rain comes so don’t wait that long, to turn off your unit. Covering your air conditioning unit can be a great option to help protect it during a strong storm. Fast winds, hail and flying debris can cause some serious damage to the exposed components on your unit. You can use a tarp or even a board to cover your AC, to help protect it when severe weather hits. *Make sure your cover is secure so it doesn’t turn into debris itself to cause damage elsewhere, and after the storm passes, remove the covering before starting up your unit again. Speaking of flying debris, cleaning up your yard is a great way to help reduce the amount of debris that can be tossed around. Well before a storm hits, pack away outdoor furniture, toys, your barbecue pit and anything else that’s not tied down. Clean up branches that might have fallen and remove anything else that could puncture your AC equipment. Collaborate with neighbors to clean up their yards as well. Storms have no respect for property lines! *If the storm is already rolling in or you see lightning, it is best to skip this step. Your own safety is more important. Once the storm has passed and it is safe to go outside, it is a good idea to do a thorough inspection of your AC unit and refrigerant piping to check for damage. Be sure to clear any debris that might be covering your air conditioning unit. As long as you’re certain that the unit is free from damage and debris, turn it on and monitor to make sure it’s working as it should. If despite your best efforts, your unit or piping has been damaged, call us right away at (866)844-3770. We can also help you prepare for the storms ahead and reduce your equipments risk of being damaged. Maintenance is an important part of home ownership and you don’t want to leave yo ur heating and cooling systems off your yearly maintenance checklist. By performing yearly maintenance and regularly checking your equipment, you can greatly extend the life of your units. Plus, you can fix any small problems before they grow into large, expensive problems. It’s advised that at the very least, you have your air conditioning unit cleaned and checked early each spring before the weather gets too warm. And you should have your furnace checked each fall in late September or early October, before the first freeze. By having your heating and cooling units inspected each year, you can ensure that whenever it’s time to flip on your air conditioning or furnace, it will run smoothly. Remember, maintenance means fewer unpleasant surprises down the road. Unfortunately, busy schedules can make it hard to remember to have your much needed yearly maintenance compl eted. A great way to stay on top of your heating and cooling maintenance schedule is to sign up for an annual club membership. maintenance schedule, because when it’s time for your systems to be maintenance, someone will contact you to remind you and help you schedule an appointment. A club membership is the easiest way to ensure that your air conditioner and furnace remain at their top performance levels! SAME DAY SERVICE – GUARANTEED! Go to trusttiger.com to learn more!